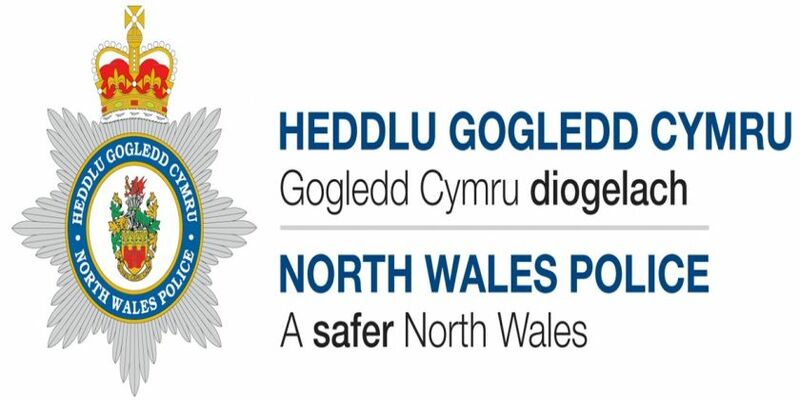 North Wales Police have marked the centenary of the end of the First World War with a small service outside its Headquarters in Colwyn Bay today (Friday, 9th November). Police officers, staff and volunteers gathered outside the building to pay their respects with a two-minute silence, and to also remember the 14 police officers from North Wales who lost their lives during WW1. Chief Constable Carl Foulkes said: “As we mark the 100th Anniversary of the signing of the armistice, which marked the beginning of the end of the First World War, it is important that we all take time to come together and remember the great sacrifices made by the many people who gave their lives. Of the 104 police officers from North Wales who fought during the First World War 14 were not to survive. These included PC 19 Thomas Charles Orris, who was based at Bangor and received a telegram from London on August 4th 1914. The message would have been addressed to L/Cpl T.C. Orris followed by the word ‘Mobilise’ and signed by the ‘Officer Commanding 2nd Bn. Gernadier Guards’. PC Orris had only joined the Police three months before, having been a soldier for several years and still being a reservist he was the first police officer from North Wales to go off to war. He may have believed, as many others did, that the war would be finished by Christmas but sadly, PC Orris was killed only four months later in France, aged 27, without seeing his next Christmas. In 1914, the area we now police was served by five separate constabularies for Anglesey, Caernarvonshire, Denbighshire, Flintshire and Meirionneth. In total 104 officers from across the five constabularies served during the war. Many of these young men would never have left North Wales previously and tragically some were not to see home again. As with any war there are examples of heroism and devotion to duty, such as PC 77 Llywelyn Edwards, stationed at Coedpoeth, who was awarded the Military Medal for gallantry and devotion to duty under fire and the Sgt 11 Oliver Cromwell Davies, stationed at Blaenau Ffestiniog, who was awarded the Belgian Croix-de-Guerre and Meritorious Service Medal for devotion to duty in the field. PC 8 Albert Jones, stationed at Mold, was killed within weeks of the outbreak of war at Ypres. His name is recorded on the famous Menin Gate. Conversely, PC 55 Reginald Pierce from Wrexham, serving with the Royal Welch Fusiliers, was killed the day before the war ended, on 10thNovember 1918. PC’s Harold Davies, David Jones and Robert Jones died soon after the war from their wounds or related illnesses. PC’s Richard Morris of Bangor, William Pritchard of Blaenau Ffestiniog and John Lewis Thomas of Llandudno all serving with the Welsh Guards were killed within days of each other at the battle of the Somme in September 1916. Their graves are unmarked but their names are engraved on the vast Thiepval Memorial in France. 72,000 names are recorded on that monument but poignantly the names of these three men are commemorated on the same stone panel close to each other. During the ceremony 10-year-old Xander Johnson of Rhos Street School in Ruthin played a moving rendition of ‘The Last Post’ and the names of the 14 police officers from North Wales were read out. North Wales Police Officers are attending the Cenotaph Remembrance Parade in London on Sunday, November 11th.